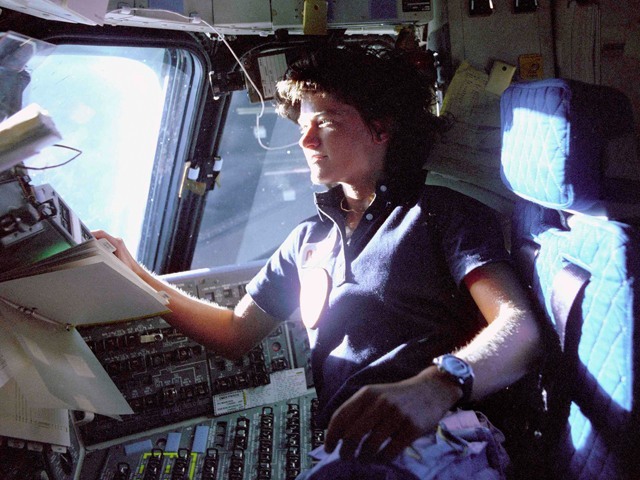 Astronaut Sally Ride monitors control panels from the pilot's chair on the flight deck of the space shuttle Challenger during her historic space mission in 1983. Floating in front of her is a flight procedures notebook. Ride died on Monday after a 17-month battle with pancreatic cancer.